Asparagus and pappardelle make a winning combination, married perfectly together in this simple pappardelle recipe from Geoffrey Smeddle, developed originally for the Sunday Herald. 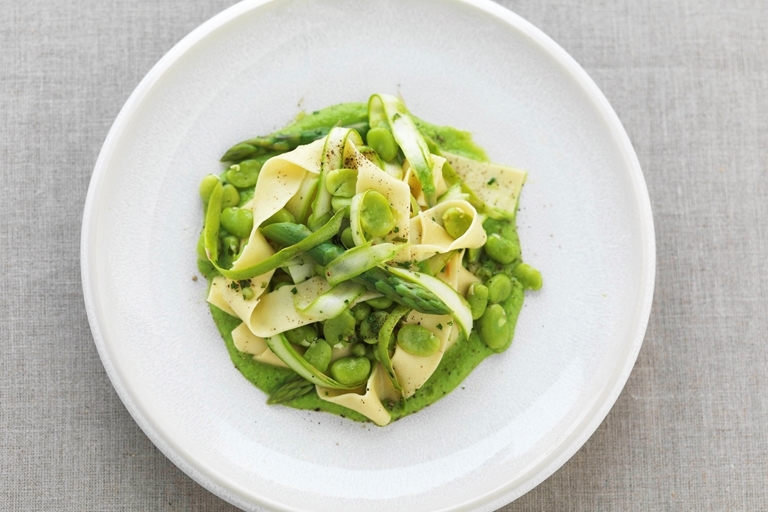 Together with earthy broad beans and fresh marjoram, this pasta dish is a perfect way to celebrate the days of spring and early summer. To serve, add some shaved cheese on top; Parmesan and Pecorino Romano make lovely options, as does British Old Winchester if you'd like to keep this recipe vegetarian.